Most of the chocolate is already gone! The last 24 hours have been good for Zoo team member Bill Keel (@ngc3314) is based at the University of Alabama. 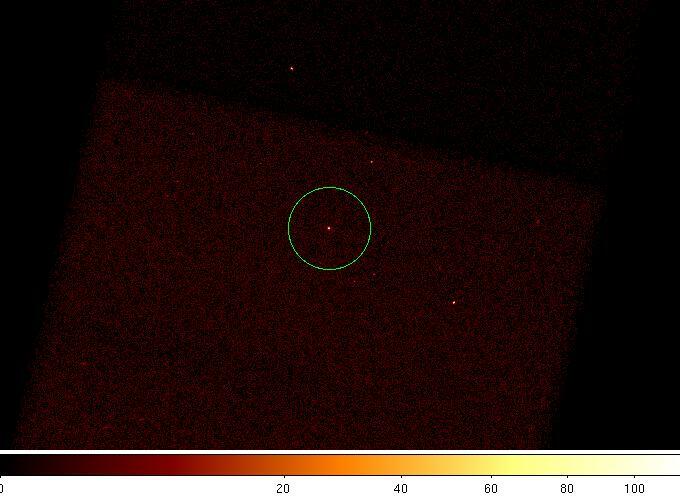 Not only did his University football team win some sort of championship (they all look the same to Europeans) last night, but the Hubble Space Telescope observed the final Voorwerpje in our approved programme! That means Bill was probably glued to the TV and downloading and reducing the data at the same time! He’ll add the reduced image to his poster at the AAS meeting, so if you want to see the image, come join us at the poster tomorrow! He may also blog it some time later, but for the FIRST look, you’ll have to come to the poster! There may be chocolates too…. The poster is: 339.47. 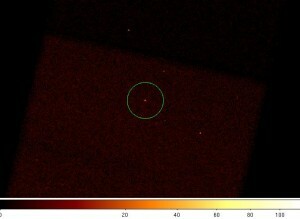 HST Imaging of Giant Ionized Clouds Around Fading AGN, up all of Wednesday from 9-6. 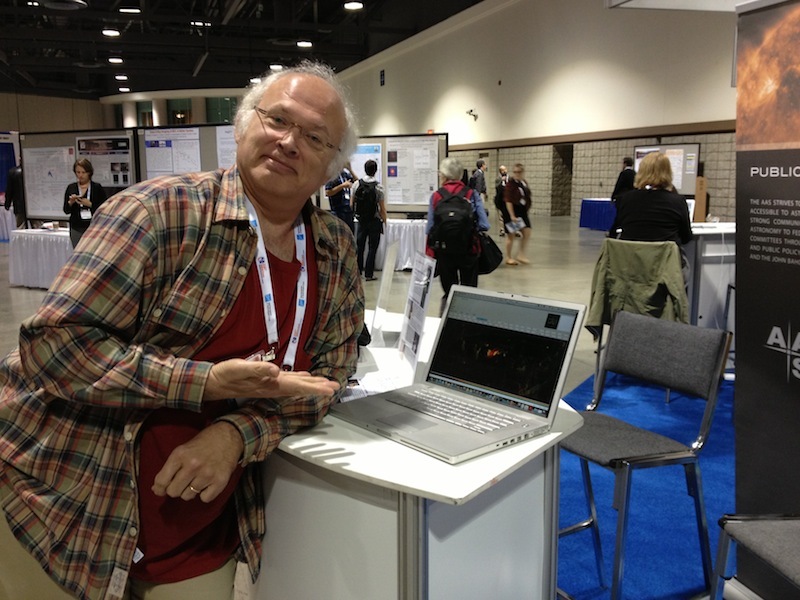 I’ve just arrived at the American Astronomical Society 220th meeting in Anchorage AK (#aas220 on Twitter, follow it). Quite a few people working on the Zoo are here too and it promises to be an exciting meeting. 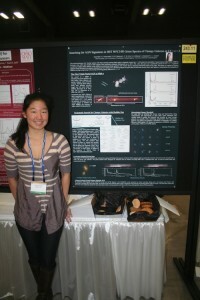 Also, thanks to the Zooite who came to chat to Steph at the Galaxy Zoo AGN inclination poster! I attended the AAS Conference in Austin, Texas with the Yale Astronomy and Physics Department to present the results from my research last summer. Many thanks to everyone in the department and Galaxy Zoo who gave me this opportunity and continue to support me through my work. It is because of their guidance that I was able to present a research poster at the conference this winter and enjoy a whole new experience. The AAS Conference was fascinating, motivating, and overwhelming all at the same time. Starting from 9:00am every morning, I listened to various compact 10-minute talks given by various PhD candidates, post-docs, and researchers from around the world. Though I must admit some of the ideas presented went over my head, I learned more and more with each talk I heard. The midday lunch breaks made up one of my favorite parts of the conference. Yes, the ribs in Texas are good. 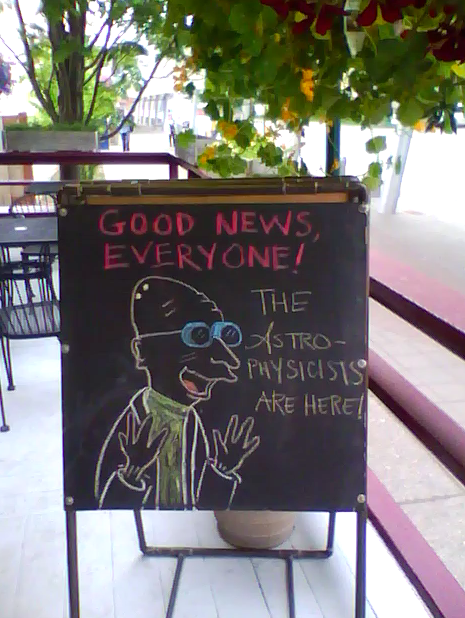 But no amount of delicious southern cuisine compares to how welcome and at ease I felt with fellow astronomers kind enough to invite me, a newbie sophomore undergraduate, to lunch. 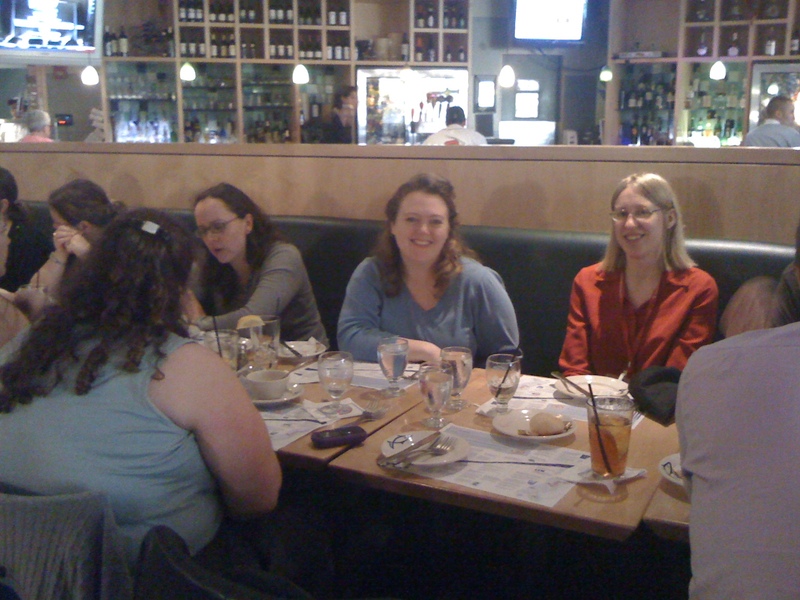 Lunch became my 2-hour my opportunity to talk one-on-one with other researchers and get informed on their work. When my questions ran out, I gladly took the chance to introduce my own research and use their feedback to better prepare for my poster presentation. On Thursday morning, I tacked up my poster in the exhibit hall and stood guard, armed with organized details of my research and cookies as bait. Let me confess now that I have never been at or in a science fair, but I imagine it must be similar to what I experienced that day. 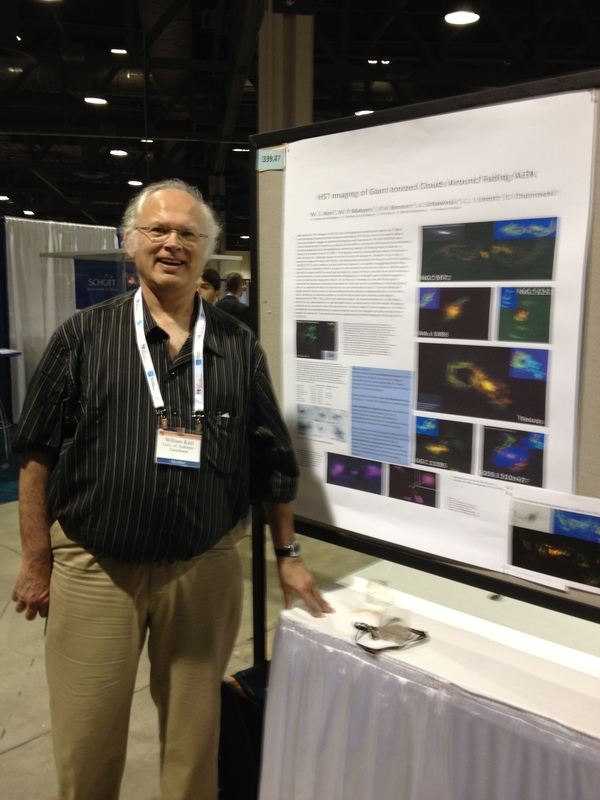 Non-scientist citizens and experts in AGN alike perused my poster and asked questions. Every once in a while I recognized a familiar face: members from my research group, students I had befriended throughout the conference, and fellow researchers I had shared lunch with stopped by to see my poster. Explaining my research to someone who was interested (either in my work or the cookies) was an immensely rewarding experience. I felt proud of what I had accomplished and so thankful to the people who helped me do it. The encounters with other people also gave me ideas for future directions I could proceed in. This semester, I plan to continue searching for multiple AGN signatures in grism spectra of clumpy galaxies. My experience at the AAS Conference has inspired me to develop a more systematic search for clumpy galaxies using Galaxy Zoo and explore in more detail the possibility of low redshift galaxies containing multiple AGN. To the citizens of Galaxy Zoo, thank you again, and I hope for your continued support! You can get a full res PDF version of the poster here. Last winter I got a phone call from ZookeeperChris who asked me if I’d be interested in attending the next American Astronomical Society conference (spelled AAS, and pronounced “double-A-S”). The very idea seemed too good to be true – so too good to be true that I shoved it to the back of my mind in case it was all a dream. That was especially neat for me, because there was some research I wanted to do in Harvard’s archives. (If it comes to anything, I will tell you all about it, but I’m not ready to make it public yet.) I started picking around for youth hostels at which to spend some extra time in Boston. Even in March and April, all the cheapest places were booked, but I set to planning my first visit to America with mounting excitement . . . The journey across the UK took as long as that across the Atlantic. I had never been out of western Europe before. Flying over Nova Scotia was especially fascinating – great ripply expanses of dark rock and snow. At the airport I was greeted with two incredibly long queues and the ghastliest “welcome” video I have ever seen. As soon as I got through security (where they confiscated my sandwiches!) into Boston I knew I disagreed with Fred Allen entirely. The air was silky with a pleasant cool humidity, the streets were bright red and green with brick houses and healthy trees. Their version of the Tube was cheap, very frequent, and incredibly cute – random little walkways and steps up to the train from a rail-level platform everywhere. I clambered out of Copley Place station into a huge square surrounded by fast roads with long cars and grand-looking buildings, some of which had red curtains in the windows like palaces. The hotel ZookeeperJordan had booked me into (thank you!) was also the most glamorous place I’d ever seen. My own lecturers at university had spent field trips at cheap youth hostels with the rest of us, so all the glitz came as a bit of a shock, especially with the bottles of water being eight dollars each! After 22 hours of travelling I failed to stay awake for the reception on Sunday night! 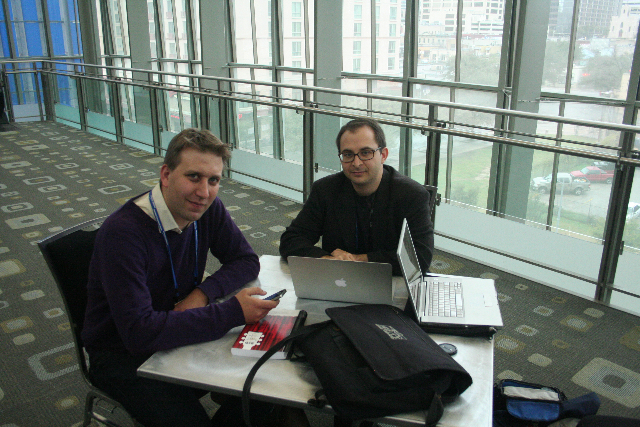 I met Chris at 8 on the third floor of another glitzy hotel where the conference was taking place. There was a central room full of exciting – if difficult – posters from astronomers all over America, at the back of which stood a trolley full of delicious little pastries and two tables of tea and coffee each morning. Around this room were two floors full of all the different talks. There were usually at least four going at once, so I had to make a great many sorrowful sacrifices – I wanted to hear absolutely everything. I was effectively there both as press and as a zooite, meaning I attended press conferences or the more technical lectures as I wanted. The press room was on the seventh floor; the lifts went so fast they made me feel sick, as if I was in a ship on a storm. 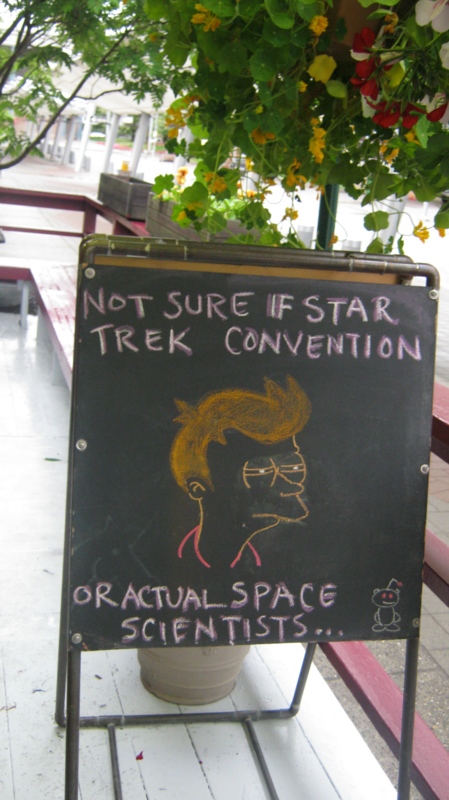 (I don’t think all that travelling entirely agreed with me!) There was more tea and coffee up there, a nice big table to punch our laptops at, a pigeonhole for each of us full of press releases and dinner announcements – I signed up to a dinner on Tuesday evening. We spent a good hour or so trying to hear each other in a very noisy bus in Boston and Cambridge traffic, had a Chinese meal, and then wandered along to Harvard College Observatory. The room we sat in was next to the largest telescope. It had railings at the top with planetary symbols welded into them. It had been built for public nights on the order of Harlow Shapley in about 1930 – and these public nights had continued ever since. This evening we began with a slideshow of ridiculous Boston signs, mostly along the lines of “Welcome to Boston – now get the hell out of my way” and “HA HA YOU’RE GOING TO BE LATE FOR WORK” – after all that time on the bus you can imagine us press folks screamed with laughter! We then went on to how Harvard College Observatory began, with its little army of “female computers” and how Henrietta Leavitt discovered Cepheid variables. 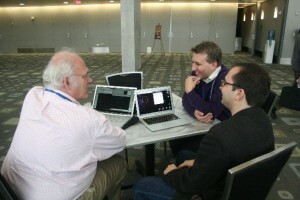 That talk was followed by one from Richard Panek about his new book, “The 4% Universe”, which looks very good. Apparently the furthest supernovae were fainter than they should have been and this was how the acceleration of the expansion of the Universe was discovered. I thought this meant that things expanded slowly in the past and quickly now, and asked about this paradox, but the amount of offended-seeming yelling in my direction both that night and the next day from several well-meaning press people indicated that either I missed something fundamental about the idea, or they did about my question. I went to a few press conferences, some of which were good, but the talks I enjoyed the most were the most technical presentations by the academics! I stuck mostly to these, my notebook’s scribble content growing wildly. (In between talks and amazing meals, I tried to keep the Zoo updated, but Stellar190 did a better job than me just through the tweets!) The Galaxy Zoo talks were about bars, red spirals, galaxies’ environments, active galactic nuclei and what feeds them, and more . . . I also heard about stellar weather and how it affects planets (as well as our ability to find them), about redshift-space and Margaret Geller and John Huchra’s work mapping the Universe, about polycyclic aromatic hydrocarbons – honeycomb-shaped sooty molecules – in Titan and in nebulae; about thrilling surveys of galaxies and of supernovae and of all other things; about planet-finding techniques and attempts to guess stellar age (which is remarkably difficult because stars look pretty much the same except when very young or very old); about what today’s great telescopes are up to; about the search for planets beyond Pluto which some astronomers assured me was pseudoscience while the speakers looked very sure of themselves; lots about quasars and active galactic nuclei; lots of strange techniques with unfamiliar acronyms – just the kind of thing to terrify me – until people told me what they meant and they suddenly became logical and something I could master. There was a lot I didn’t understand. But three things were very reassuring: firstly, that there was a lot I did understand; secondly, when all the astronomers assured me they didn’t understand everything either; thirdly, when, after being a pest and asking several questions in it seemed every single talk, quite a few people asked me what I was studying and when I told them I’m just an amateur, urged me to do a PhD and go into academia because I clearly had a good grasp of the subject. And this is someone who was ordered to drop maths and physics at age 16, and who struggled through a science degree and thought herself a failure as a result. This is someone who, five years ago, hadn’t a clue that astronomy was a subject anyone other than professionals could contribute to – much less that she herself could be part of. And now I’ve spent four years moderating our beloved forum, learning so much from zooites and zookeepers – and this week really was the greatest payment I could possibly have had for my work. And I sense that it’s only the beginning. On Wednesday, the third day and last full day, there is invariably an AAS party. I am not very good at parties and had to be forcibly dragged along. When the people who run AAS were also caught dancing and falling over with a flourish, intermingled with comments from other astronomers that they’re no good at parties either and many of them only dance twice a year, I certainly relaxed! I made some more friends – and I’d already made a few at the conference – and got back to the hotel some time into the small hours. I regrettably failed to manage the lecture first thing next morning, which was a pity because it was on the smallest, faintest galaxies and besides apparently being very good would have been right up Waveney’s street. I wrote a while ago that irregular galaxies, which Waveney is studying, might be the plankton and bacteria of the Universe – not the great tigers and elephants that are spirals and ellipticals, but perhaps just as important to understand – who knows? Maybe we Zooites will. At lunch time on Thursday it was time for the astronomers all to jet off to their various locations – some with new toy mooses, because the next summer meeting will be in Alaska (it’s nice to know astronomers don’t have to act mature) – and me to stumble my heavy bags along to the youth hostel where I would spend the next nine days. I was so sorry the conference was over; it was like being in a brilliant shower of beautiful facts and news. It was lovely to see all the zookeepers I’d met before – Chris, Kevin, Carie, Lucy, Pamela – and to meet Karen, Ivy, Brooke, Alfredo (I sadly missed meeting Meg) – and my apologies to anyone I’ve forgotten there! I had a great week exploring Boston and doing research. The temperature skyrocketed and suddenly the humidity became a real burden – now I know why all the East Coasters complain about it! A terrific storm broke on Wednesday night; for three quarters of an hour the clouds were almost constantly lit by sheet lightning, something I’d never seen. I turned off the light in my youth hostel room and sat at the window spellbound. It became distinctly less enjoyable when I looked at Twitter on my phone and discovered that there were the first tornadoes taking place in Massachusetts for decades and people had actually been killed. Very early on the morning of Saturday 4th June, I was back at the airport on my way to Chicago to visit Chris at the Adler Planetarium, where he’s been spending his sabbatical developing (among other things) the Citizen Science Alliance – onto whose advisory board Jules and I are thrilled to be invited! Chicago was even hotter than Boston. You know those hot winds you get in the London Underground when a train is coming? We got those in Chicago outside – but hotter and much stronger! I felt myself wilting most of the time, and ached to dive into the beautifully clear blue water. My hotel there was toblerone-shaped and I was on the 27th floor – the view was spectacular! Chicago has a double layer of roads and railways, so you often have to go up stairs to get to the street you’re after – I think Chris said there’d been plans to flood it, among other eyebrow-raising engineering feats. I failed to spot any Chicago gangsters too. In fact my welcome to Chicago, apart from the crippling heat, was the best possible. The airport walls are lined with astronomy pictures. Just as we are reaching out to the stars, we are bringing the stars to the public, too, as is only right – but so delightful. Adler Planetarium is beautiful. I can see why Chris loves working there. There is a wall display of the whole area of the Milky Way Project, archways like Moon rock, beeping flashing machines representing cosmic rays as they come through Earth’s atmosphere, a screen which shows you in infra-red light, and a small lecture theatre full of huge screens and computers – including 3D – in which to give talks. I found myself in here on my last day (about an hour before I was due to head off to the airport) giving a Galaxy Zoo talk to all the visitors that wandered in! That was a bigger challenge than most talks I give, because people were continually wandering in and out, and some stayed much longer than others. 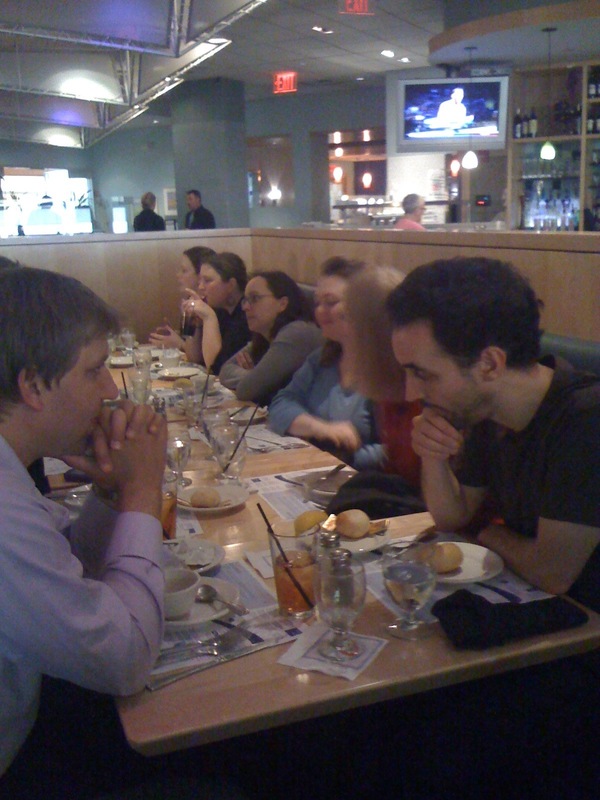 I also met a lot of scary “educators” or something, who Chris was telling about various Zooniverse projects, and heard more plans for the Zooniverse. If you’re anywhere near Illinois, I strongly recommend the Adler Planetarium. On our first walk there, I joked to Chris about how if I ever get married I want it to be in a planetarium under a magnificent galaxy-filled sky, and he pointed ahead to show me that a wedding actually was taking place there! I loved America and it was very sad to be on my way home (especially as one of the many friends I made had told me to look out for the aurora on the right – but not only did it not appear, we went so far over the North Pole that we stayed in daylight!). After setting off in late afternoon on Tuesday, I got home on Wednesday evening, and the very next day was bumbling around in my little office like an extremely clumsy zombie. Thank you so very, very much to Chris and Jordan and everyone on the Galaxy Zoo team who arranged for me to come – it was the best present anyone could have given me – and for showing me round (including to excellent restaurants) and making sure I had such a wonderful time there. Thank you too to Rick Feinberg of AAS Press, who was invariably kind and extremely quick to help and explain things I needed to know. I hope more Zooites will be able to attend AAS conferences one day. The August edition of the Astronomy Now magazine will contain six brief snippets on the conference from me – they’re just a few pretty starclusters out of a very big galaxy of delights, which will give you an idea of just what a wonderful conference it was! 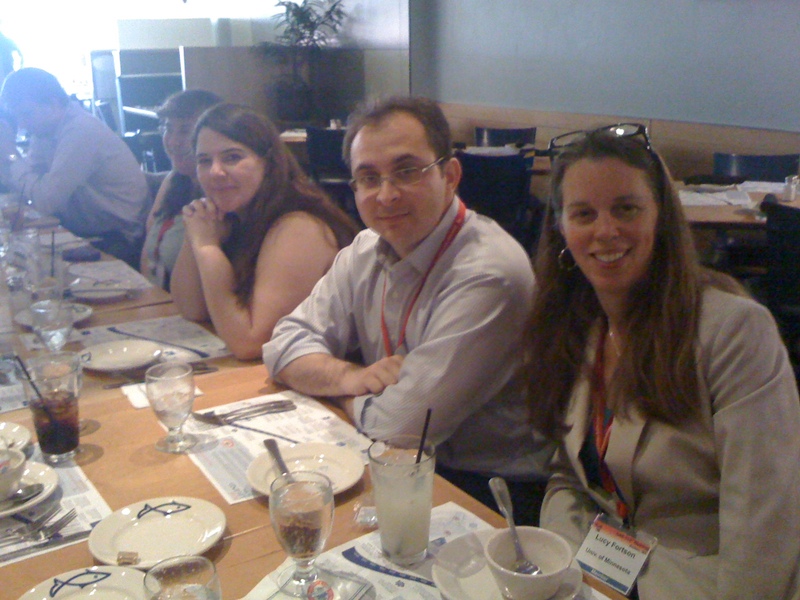 Following our session on “Cosmic Evolution from Galaxy Zoo“, a number of the Galaxy Zoo group went to lunch at a local Boston seafood place. Ivy (Wong) took a few photos, which I thought you might like to see. View down the table at lunch. From right to left, Lucy, Kevin, Pamela, Carie and Chris. From right to left, Alice, Brooke and me (busy talking). By the way, the AAS abstracts are now up on the ADS, so I have put the links up on the previous post. 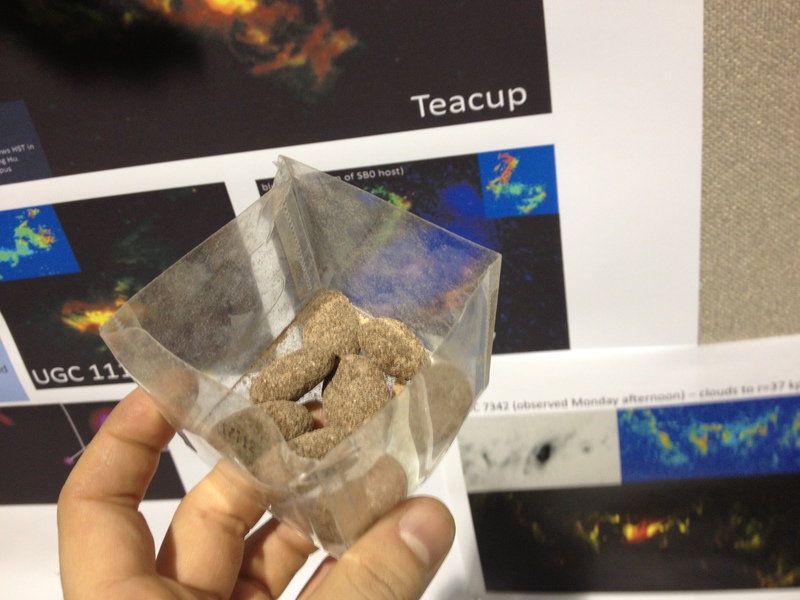 Post starburst galaxies at the AAS. At our AAS session, Ivy Wong (formerly of Yale, now back in her native Australia) talked about her work on post starburst galaxies. Post starburst galaxies are extremely rare, and in her paper (which is in the referee process at Monthly Notices), Ivy compares a sample of about 80 local post starburst galaxies to the parent sample they were drawn from which is made up of almost 50,000 of the galaxies you classifed in Galaxy Zoo 1. 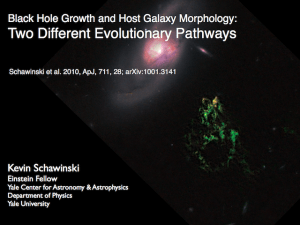 The conclusion – post starburst galaxies are dominated by objects who have intermediate morphology (often half of you thought they were disks and half thought they were ellipticals – telling us that they are just hard to classify!). They are found in the low mass part of the “green valley” (ie. they are redder than most blue spirals, but bluer than most red ellipticals) and Ivy suggests this shows they are probably on the way to turning into the low mass end of the red sequence. Ivy has provided the slides of her talk: Wong_AAS218talk.pdf.